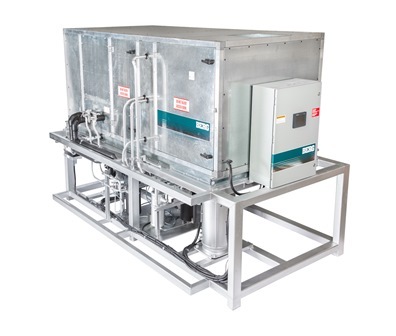 Industrial Dehumidifier | Berg Chilling Systems Inc.
Industrial Dehumidifiers use refrigeration components to lower the dew point of air to prevent undesirable condensing or sweating on machine surfaces. 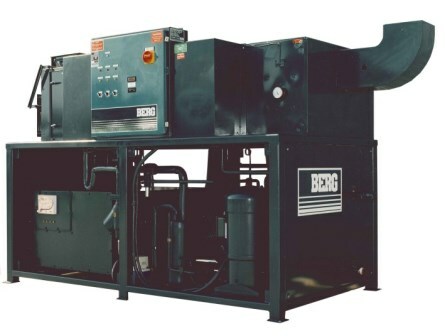 Designed for use in the plastics industry, Berg’s Industrial Dehumidifier showers a production area with dried air preventing moist plant air from condensing on cool or cold mould surfaces. 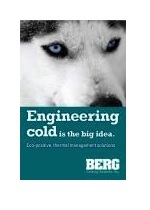 Berg Chilling is located in Toronto, Canada, and all our industrial dehumidifiers are manufactured at our facility. 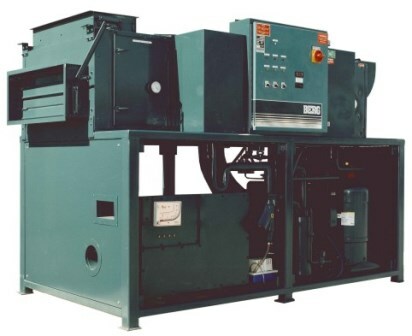 We custom engineer each industrial dehumidifier to meet your unique operating conditions, and factory test them under simulated loads prior to delivery, ensuring they will operate as required. 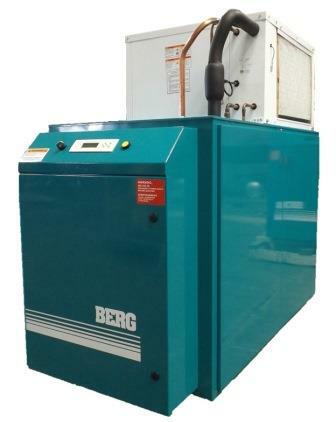 Berg has all industrial dehumidifier components in stock for quick, reliable service. We are recognized by the Canadian Government and are the recipient of the Canadian Export Award, a measure of quality and service. 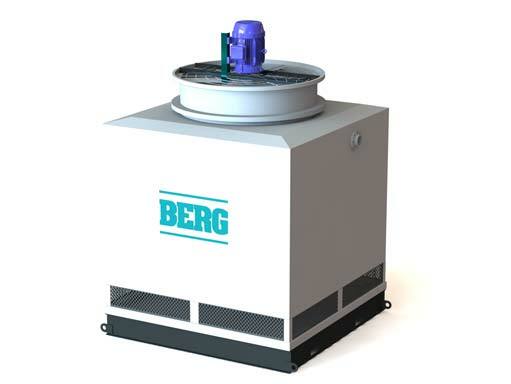 Berg’s industrial dehumidifier reduces the relative humidity in your plant air to protect your manufacturing equipment. 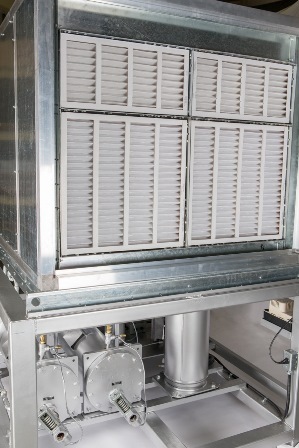 Since the ability of air to hold moisture decreases with decreasing temperature, the moisture in the air condenses as it passes through a cooling coil in the industrial dehumidifier. 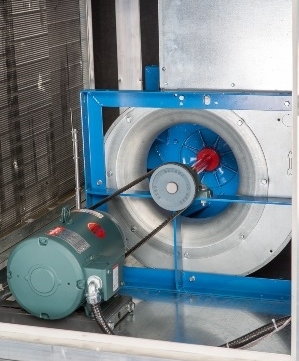 Condensate collects on the cold coil surface and is then drained away and dryer cool air remains. The air then passes through a reheat coil to bring it back to ambient temperature or above and is then forced into the moulding chamber. 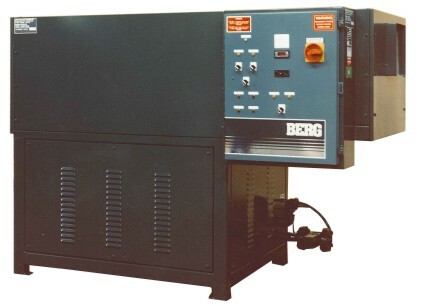 Berg’s industrial dehumidifier can easily achieve dew point temperatures of 40-45°F, which allow cooled surfaces in the process area to operate at temperatures above this without fear of condensing moisture. 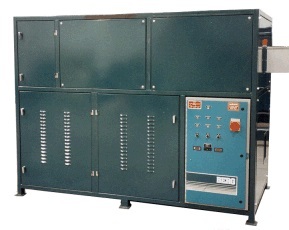 Occasionally processes require air at dew point temperatures below freezing. In these instances we incorporate the use of desiccant air driers in the industrial dehumidifier to remove the moisture to these low levels. 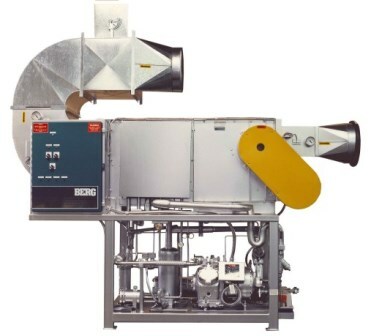 The packaged unit would first achieve the bulk of the drying with the refrigeration equipment and then the desiccant would be used to trim the remaining moisture from the air. 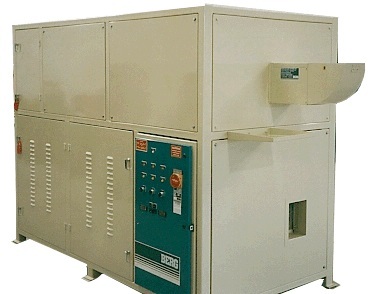 A desiccant is an hygroscopic substance used in an industrial dehumidifier that induces or sustains a state of dryness (desiccation) in its local vicinity in a moderately-well sealed container. Commonly encountered pre-packaged desiccants are solids, and work through absorption or adsorption of water, or a combination of the two. Desiccants for specialised purposes may be in forms other than solid, and may work through other principles, such as chemical bonding of water molecules. 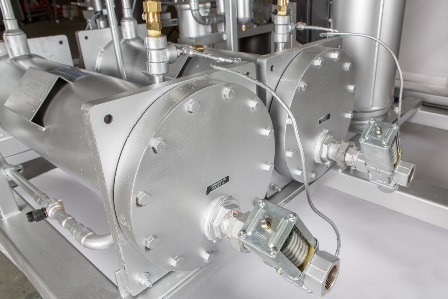 Pre-packaged desiccant is most commonly used in industrial dehumidifiers to remove humidity that would normally degrade or even destroy products sensitive to moisture. Silica gel, calcium sulfate, calcium chloride, montmorillonite clay, and molecular sieves are commonly used as desiccants. Rice is a common “low-tech” alternative, frequently used for example in salt-shakers to maintain granularity of table-salt for effective pouring or shaking. Rice, however, is not a good general purpose desiccant since in industrial dehumidifiers, unless immersed in an organism-hostile environment like pure salt, over time may be eaten by creatures that might in turn pollute the product that is being preserved. Salt itself is another effective desiccant, used for millennia in preparation of dried foodstuffs.